MAKE BETTER HEALTH DECISIONS FOR YOU AND YOUR FAMILY. 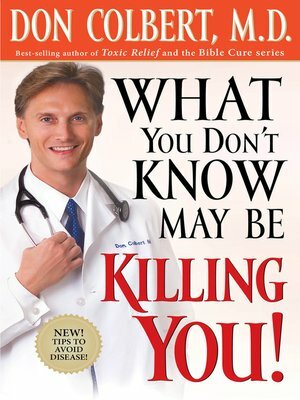 WHAT YOU DON'T KNOW MAY BE KILLING YOU! Dr. Don Colbert faced personal health struggles, and when his own profession was unable to give him answers or help, he turned to more natural health-related disciplines. The answers he found surprised him then, and this new, updated information may surprise you today!